Some books are categories unto themselves. This edited compilation of Charles Bukowski—poet, novelist, social commentator, and iconoclast nonpareil—is one such book. Its release coincides with the master’s 95th birthday. It helps if readers new to Bukowski can enjoy the quirky, and have a taste for the offbeat and unusual. They won’t be disappointed. Time magazine once called the author the “laureate of American lowlife.” But this is unfair: he did chronicle society’s downtrodden and eccentrics, but he also captured the rest of us in America’s melting pot in the apt, telling moment. Possessing the sensibility of a foreigner perhaps shaped his point of view. Born in rural Germany in 1920, the author arrived in the United States at the age of two and grew up in Los Angeles—a melting pot in its own unique way. 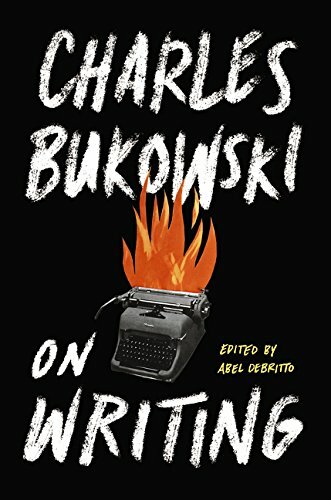 While this volume contains a fair amount of correspondence with fellow writers, editors, publishers, and friends, its main focus is Bukowski’s attitude toward the art of writing—the drudgery, the discoveries, the obsession to find the perfect words, the demonic possession to say what one actually means and to say it clearly. Bukowski presciently anticipated writing teachers such as William Zinsser (On Writing Well) in his fierce advocacy that good writing is impossible if one cannot think clearly. And that is a lesson from which we can all benefit in today’s distraction-laden world.